Title taken from caption. View of a truck, with a trailer attached. A towed land scraper, for grading roads and contouring land surfaces, is on top of the trailer. Three men are standing beside the truck and trailer, while another man is standing on top of the trailer. 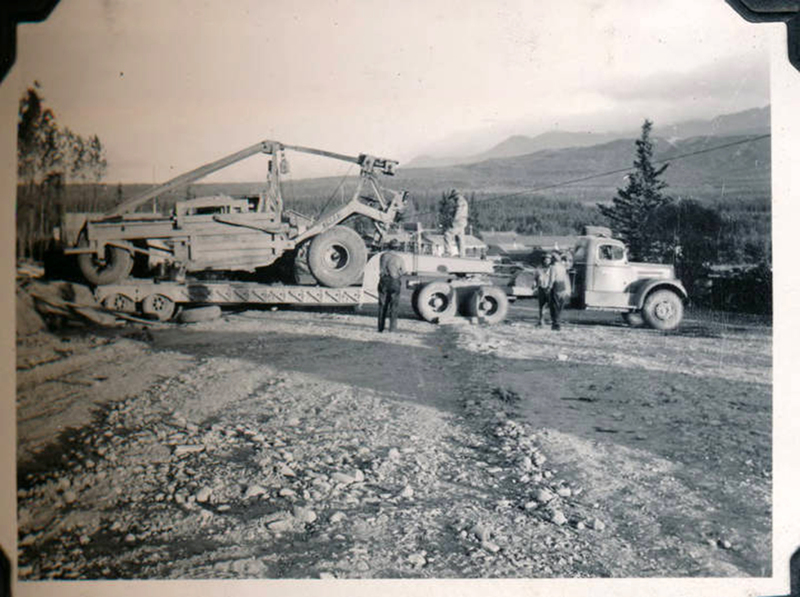 Leseberg, Lyle Sherman, “Loading out equipment from 108 W to 15 E.,” Archives - Omeka, accessed April 21, 2019, https://consortiumlibrary.org/archives/omeka/items/show/850.